Deals with all administrative procedures related to international students viz., applications for accommodation in international lodges/dormitories of the University of Tokyo, JASSO and other scholarships (for self supported students), Japanese language course, etc. Application for Graduate International Research Students (for October entrance). Application for Graduate Research Students (for October entrance). Degree Conferral Ceremony (for Special Doctoral Course Students). Application for Graduate International Research Students (for April entrance). Application for Special Selective Examination for International Students. Special Selective Examination for International Students. Application for Graduate Research Students (for April entrance). 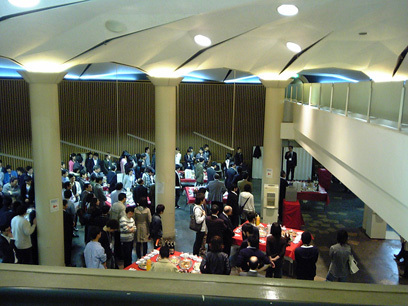 Cultural exchange events are organized few times a year. See OICE’s website for annoucements of these events. 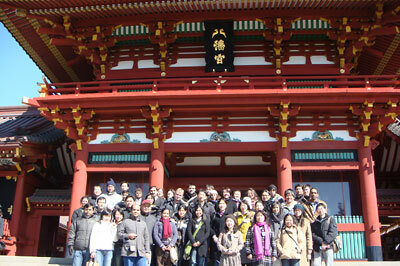 Japanese Language Courses are offered by the Center for Japanese lauguage education, the University of Tokyo, International Center. Visit the following web site for further details. MEXT (Ministry of Education, Culture, Sports, Science, and Technology) offers scholarship to international students who wish to study at Japanese universities. There are two ways of applying for the MEXT Scholarship: embassy recommendation and university recommendation. In both cases, application can be made from your home country before enrollment. 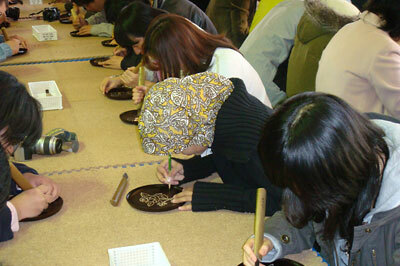 Japan Student Services Organization (JASSO) offers honors scholarships for privately financed international students. The University of Tokyo Foundation offers scholarships for privately financed international students (excluding students sponsored by their home country). Information about various scholarships for privately financed international students offered by Private Foundations in Japan is regularly uploaded on the OICE website. Most of these scholarships are meant for students enrolled in the master’s or doctoral course, and very few are available for research students. Obtaining the scholarship is highly competitive. The University of Tokyo has four dormitories where international students can reside for one or two years as stipulated by the university. Those enrolled in the master’s or doctoral course, or as a research student, are eligible to apply. Whenever there is an availability of rooms, information is uploaded on the OICE website. Host professor can submit application on behalf of the student who has received the permission to enroll. Please note that, due to limited availability, it is not possible to allot dormitory accomodation for all international students. ‘Tips for International Students’ compiled by the OICE provides useful information about campus life, various administrative procedures, etc.